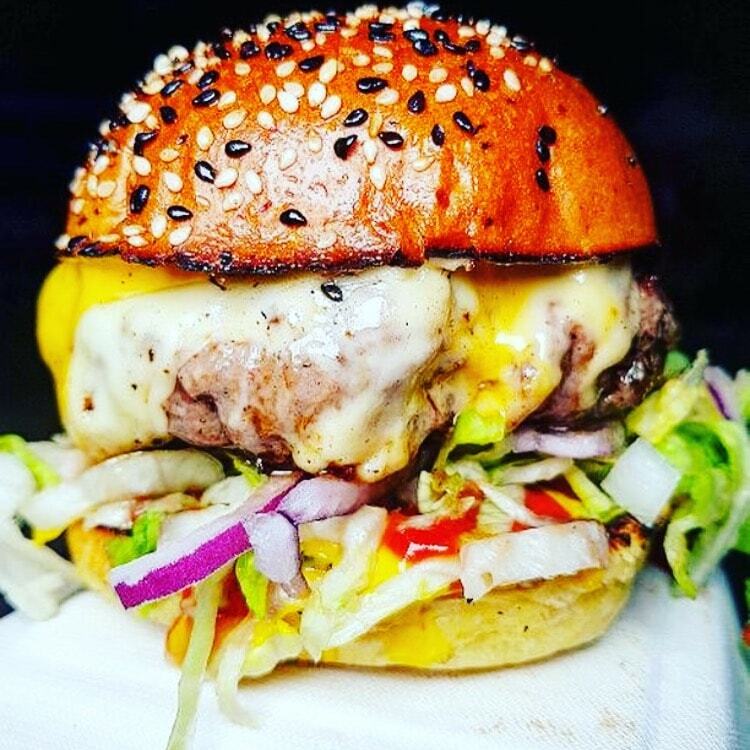 Flying Cows make knockout Dexter steak burgers using meat sourced from their family farm in Warwickshire. 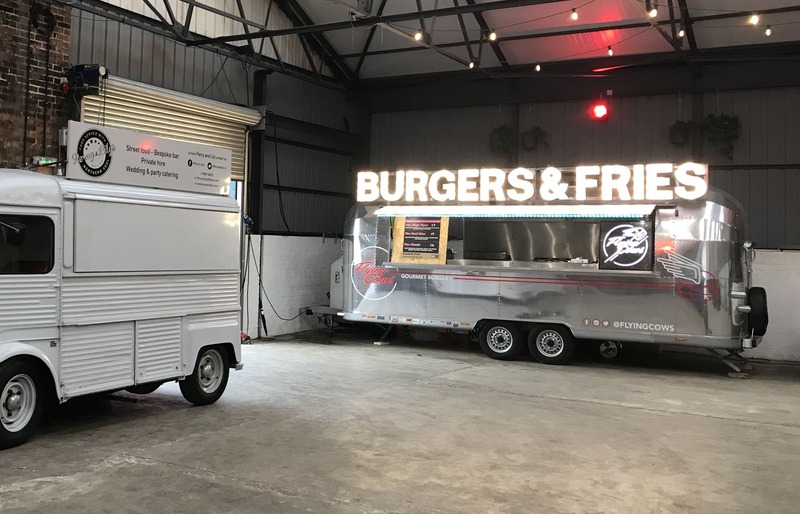 They can serve from either a purpose-built gazebo or an amazing newly made airstream trailer, depending on what kind of set-up you are looking for for your event. 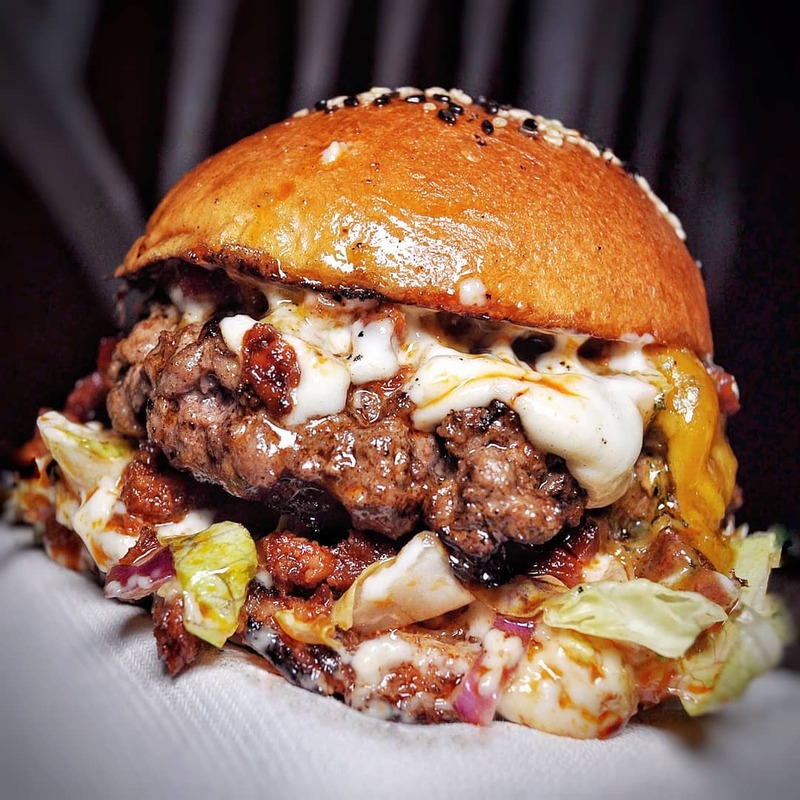 Flying Cows have been around for many years and have completely mastered the art of burger-making! 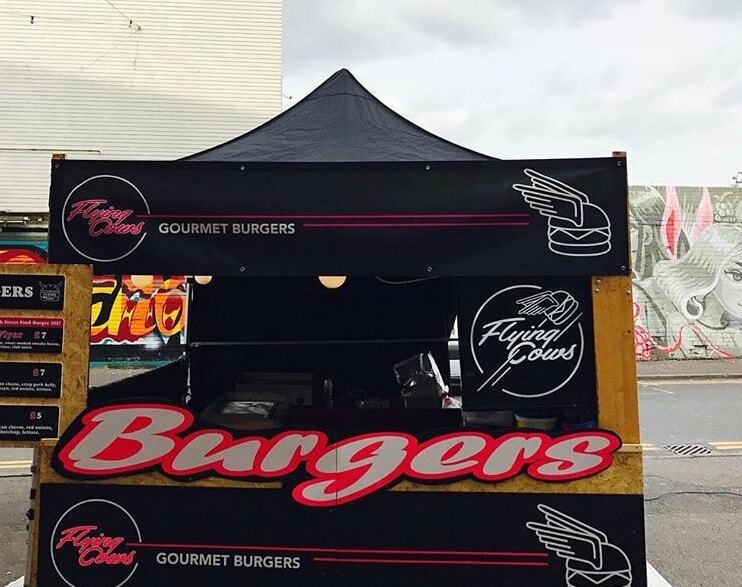 They were a British street food award winner 2017 and they are Digbeth Dining Club regulars. 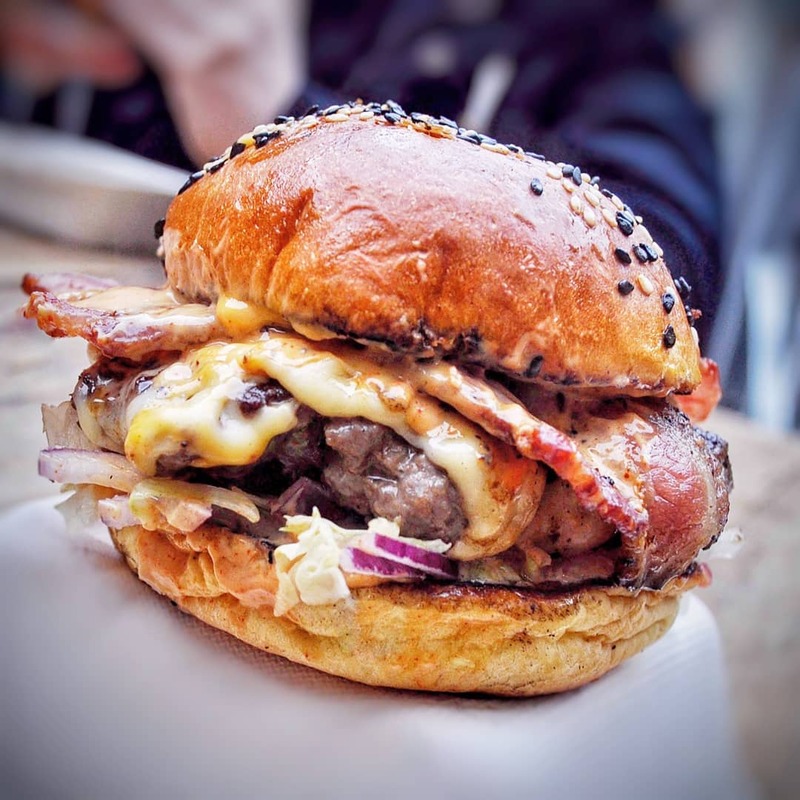 In 2017, Flying Cows created ‘Britain’s Best Burger’ at the British Street Food Awards and the winning burger, ‘The High Flyer’ was made with aged Dexter beef, cheddar, swiss cheese, red onion, club sauce, glazed streaky bacon and was served in a seeded brioche bun - yum! 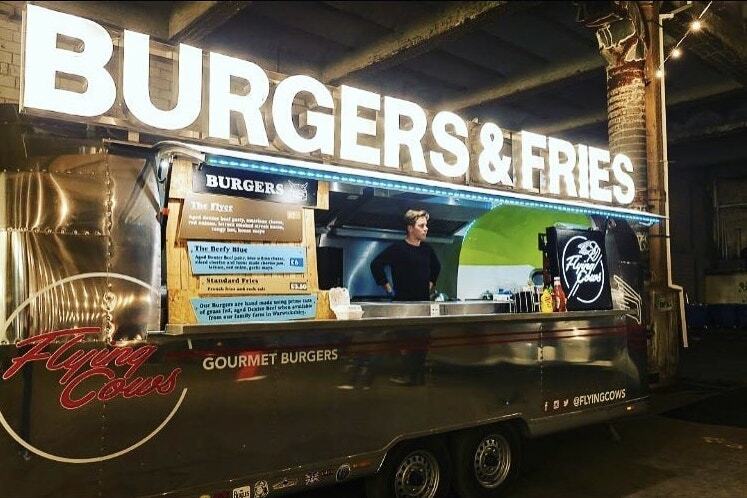 See if Flying Cows are available and you could have their legendary burgers served at your next event!